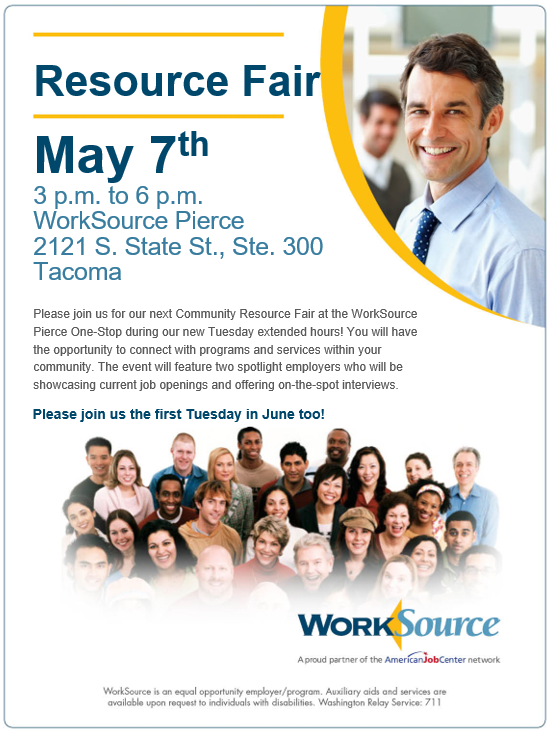 Please join us for out first Community Resource Fair at the new One-Stop WorkSource Pierce during our new Tuesday extended hours! You will have the opportunity to connect with programs and services within your community. The event will feature one spotlight employer who will be showcasing current job openings and offering on-the-spot interviews.